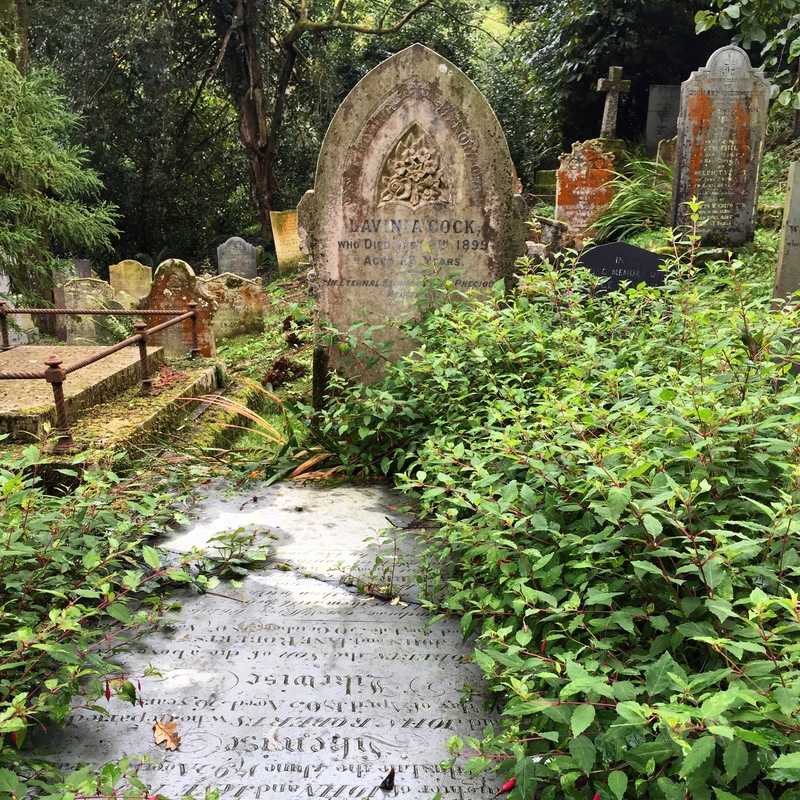 The astonishing cemetery at St Just In Rose, Cornwall, just off the banks of the river. This week I have been in the distant wiles of Celtic Cornwall, celebrating my father’s 65th birthday and taking time to see my much neglected family. The last time I visited home, I managed to cover off the best link to my PhD subject with a trip to Bodmin Jail, the centre of Cornish execution, so had resigned myself to the fact that I would have nothing to fill the blog with this week, but a trip to St Ives sparked my imagination. Situated on the North Coast of Cornwall, St Ives is a pretty little artists enclave that’s just the right side of kitsch. Famed for its amazing light, it drew many artists to its shores who would later become resident and indeed is now home to the Tate Gallery (a building with breathtaking views, that more than make up for the hit and miss displays). When I arrived with my partner the Tate was shut, undergoing extensive refurbishment, so we decided to go and seek out the work of St Ives’ most famous resident instead, Barbara Hepworth. 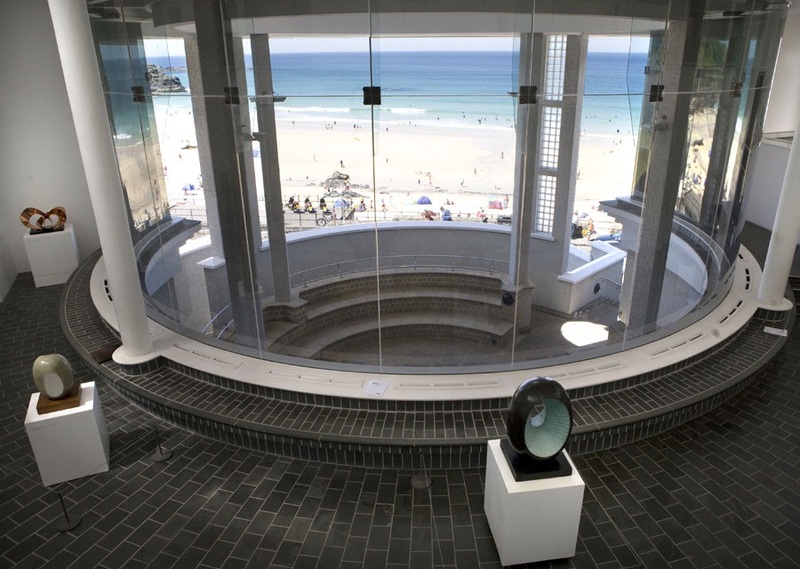 Interior of Tate St Ives. Hepworth lived in St Ives from the end of the 1940’s in a house and studio that, today, have become a museum that houses the largest collection of her work anywhere in the country. There is also an astonishing wild, walled garden in which much of her sculpture sits and it is one of the most beautiful small gardens that I have ever seen. 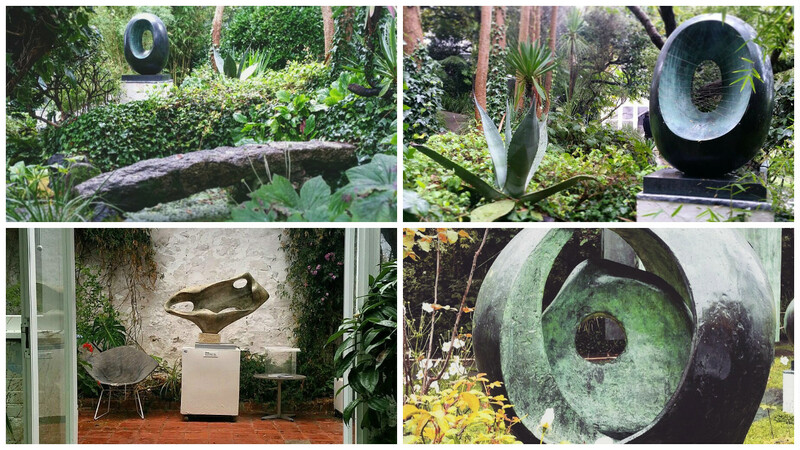 Barbara Hepworth sculpture garden, St Ives, Cornwall. Now, I am not an art critic or an architectural journalist, so why am I wittering on about this – surely Hepworth and execution are not happy bedfellows. Well, bear with me, there is some method in this madness. Some of Hepworth’s most iconic works involve beautifully hewn, pierced and polished pieces of stone or wood that are seemingly held together by incredibly taut fishing wire. 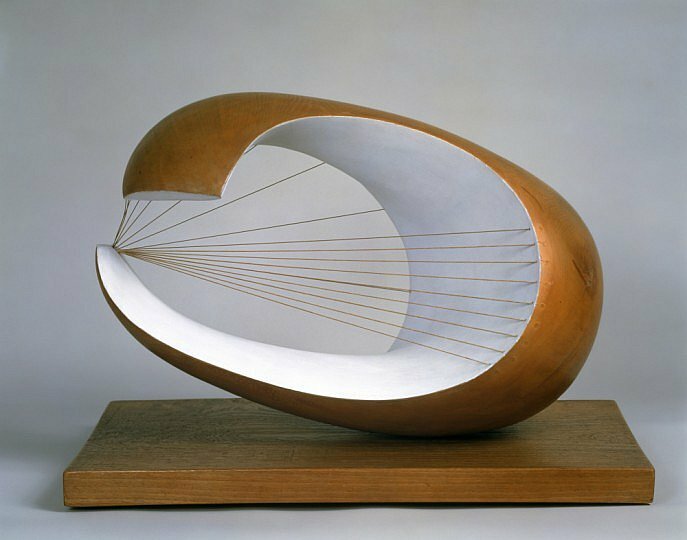 Wave – Barbara Hepworth (1943-44). An example of Hepworth’s fluid, natural sculpture that uses fishing wire to highlight the tensions existent in our natural surroundings. I cannot write anything about landscape without writing about the human figure and human spirit inhabiting the landscape. For me, the whole art of sculpture is the fusion of these two elements. Hepworth’s source of inspiration immediately got me thinking about gibbets and the fascinating role they play of the inter positioning of landscape and humanity. I immediately started searching for examples of Cornish gibbets thinking there would be endless examples, with its history rich in folk tales, piratical misdeeds and general skullduggery. So, imagine my surprise when I came across this entry, from the fantastic Wellcome Trust funded project looking at the treatment of the criminal body after death. The team was surprised to find from our primary sources how infrequently people were gibbeted outside London. In many counties there were only one or two people gibbeted during the whole period between the Murder Act and the Anatomy Act (1752-1832); in Cornwall there were none at all. So, no gibbet as such, but clearly the presence of such a thing seems plausible and in keeping with the eery establishment and its even stranger surroundings. My family lives just off Bodmin Moor, where the Inn still stands today and, believe me, when one of the frequent fogs descends over it you’d be hard pushed to find an eerier setting. The Inn in question is a coaching Inn that was first built in 1750, right on the cusp of the Murder Act that was to ensure gibbets became one of the most visible elements of the state’s arsenal. As executions for Cornwall largely took place at Bodmin and gibbets were invariably placed near the scene of the crime it is astonishing that no record remains of one ever existing. Accepting, with one day of holiday left, that i was onto a loser trying to disprove the apparent non-existence of Cornish gibbets we hit the road for home, via Bristol airport. On our way we stopped at the fantastic Tintinhull gardens, a beautiful walled garden with an accompanying miniature exhibition about the village including some old stocks (I can’t escape crime and punishment. We then headed for the nicest pub we could find en route to the airport and settled on the Ring o’Bells in Compton Martin. As the sunset on a beautiful holiday, it seemed like too perfect a coincidence that 3 miles from the pub we passed Gibbet’s Brow. I would’ve researched it, but I had a hearty steak and ale pie on the brain. 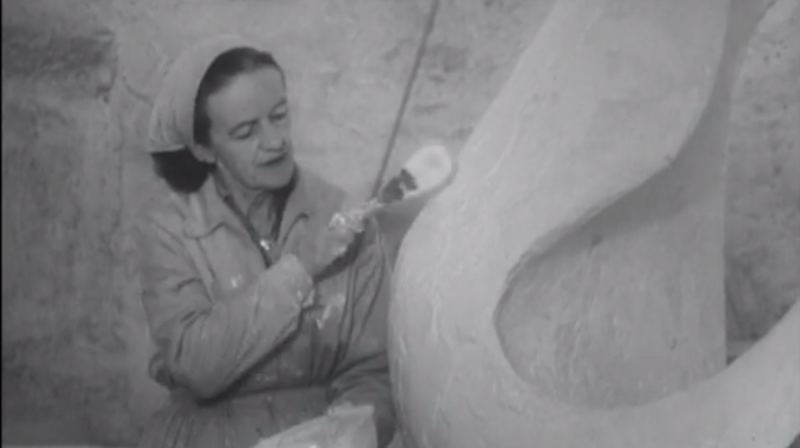 If this blog has whet your appetite for more about Barbara Hepworth, then you should check out this fantastic documentary. Made in the 1960’s it is a thing of beauty in itself. It is a slow and considered portrayal of her work and lets the camera do the talking. In his summation of her work, the narrator captures the power of her sculpture very simply but, to my mind, perfectly. She has created beauty and who can do more than that. The only downside of the piece is that it is in Black and White and that somehow robs Hepworth’s work of it’s natural beauty, especially given her love for St Ives and its famous, special light and colour. Last week I mentioned how I had finally achieved the perfect balance between comedy work and PhD, when I managed to include the title of one of my favourite primary sources in our latest comedy work. This week it’s continued apace, apparently the holy grail of scholars is to be published – well as of this week, I have been. Four days from our shoot, for our project Storydweller, we received the artwork for the book we invented, which the central character will enter! 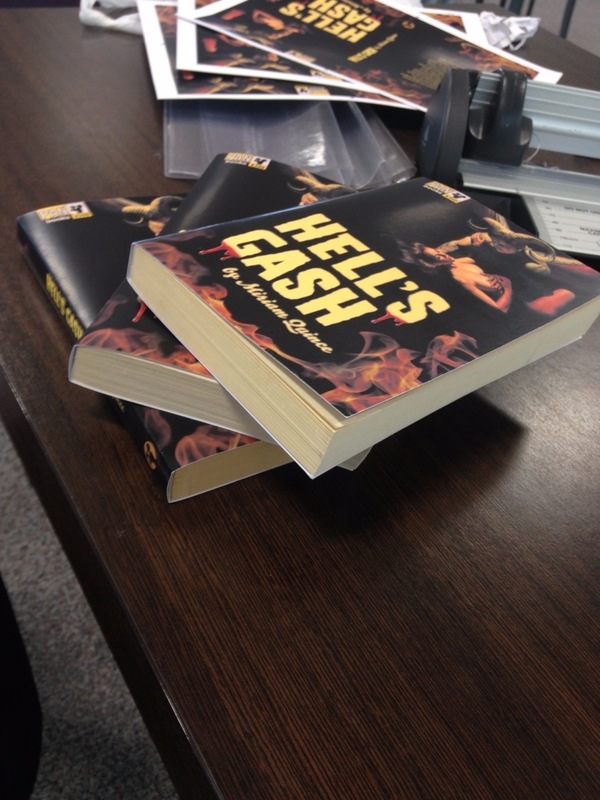 Ladies and gentleman, I give you Hell’s Gash by Miriam Quince. Hell’s Gash by Miriam Quince.